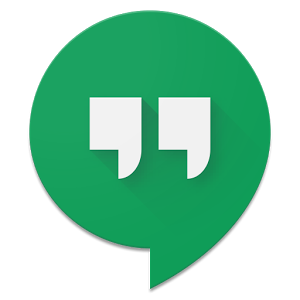 Hangouts version 4.0 has been released, to both relief and derision among the Android faithful. We're still finding some of the cool stuff that it can do, but at least one member of the /r/Android subreddit beat us to the punch. "Tutsumi" noticed that if you should happen to change between mobile and Wi-Fi networks while you're in an active video call, the connection won't drop out like it used to. I gave this a shot on both Hangouts 3.0 and 4.0. On the previous version, switching from Wi-Fi to Verizon's local LTE network or vice versa caused the call between my PC and Nexus 6 to drop out, as you would expect. After upgrading to Hangouts 4.0, the same behavior didn't drop the call. Huzzah! Check out the quick GIF below - the larger image is the video signal from my desktop computer webcam, while the smaller image is the local video from the front-facing camera on my phone, sitting on my desk. There's definitely a few seconds of slowdown as Hangouts hands the call over to the other network, but it catches up with itself before too long. Perhaps this behavior is a nice side effect of Google's work with Fi, and the similar Wi-Fi-mobile handshake needed to keep the network's shared voice service active. However it works, it's nice that it does. [Weekend Poll] Are You Buying A Galaxy S6 Edge+ Or Note 5?